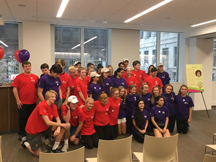 Join us at the Grant Thornton Tower in Chicago where the Illinois High School Junior Board members will make a round-trip climb of the 50-story high rise. There will be two levels of challenge and endurance. Event includes light refreshments after the climb. Climbers – be sure to wear appropriate athletic wear. 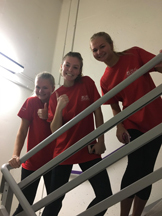 See news coverage of a previous Stair Climb! 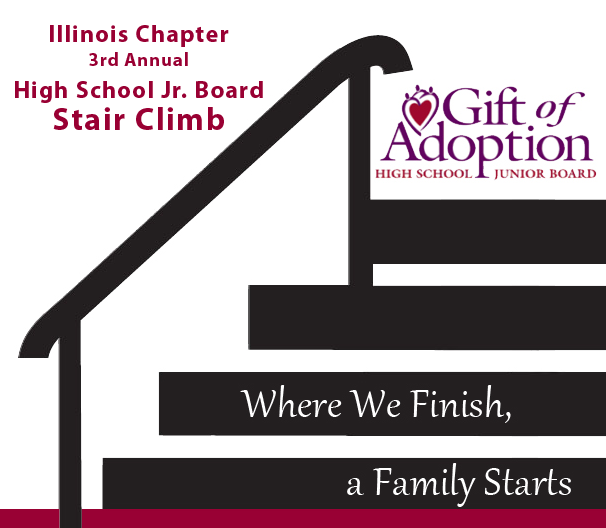 See photos from a previous Stair Climb! There are several events in the area on November 4th, including Chicago’s Hot Chocolate Run, which may result in street closings near Grant Thornton. Please plan ahead for potential closings and parking constraints. Why we climb: To help bring a child home. Last year our efforts helped bring three children home to their families.